Shelves are perfect addition to each wall to make remarkable statements! They also good enough to maximize the interior space as you find great options in them to store your clutter aloft to some higher spaces that does not disturb the lower routine environment! 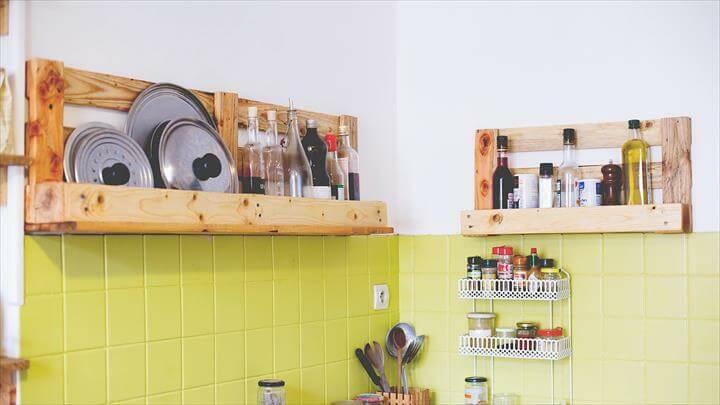 Need some functional shelves to add awesome functionality of your interior walls, go with pallets as it is timeless solution for it! You can see already made shelves in complete pallet skids, you just only need to separate them from original wooden skids to work individually as shelves! 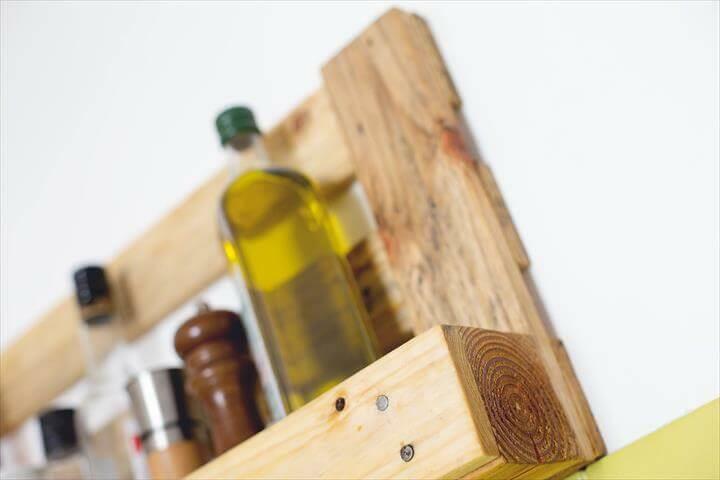 The most lower or upper parts of pallet boards are damn easy to use as shelves here are some DIY pallet kitchen shelves to help your out with a complete guide! These rustic mantelpieces can be a delight to view in kitchen and will bring an instant rustic vibe to any wall area targeted for their installation! These shelves have been finished with Linseed oil, varnish and wax mixture to be water proof and resistant to weathering! Just cut the bottoms of pallets including 2 or more planks, shelves are ready to take over your blank wall areas! Mesmerizing rustic wooden look is awesome for an antique touch to any wall and has been dignified here with wood wax, linseed oil and varnish mixture! You can also select a gorgeous paint shade for a modern chic appeal! 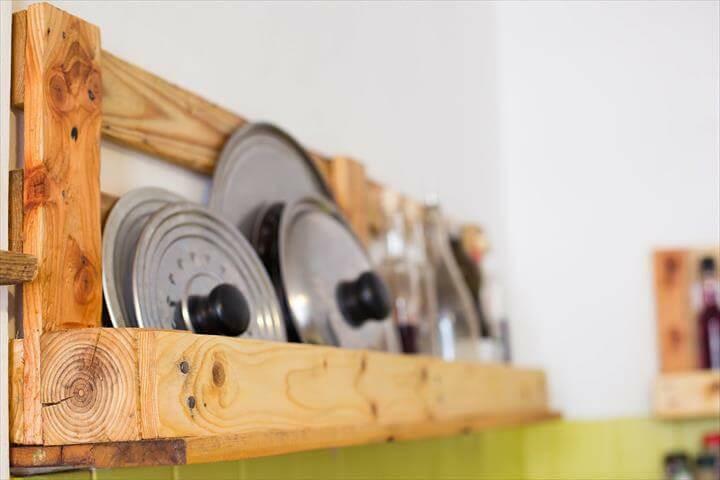 Inner depth in pallet shelves can provide a best hold and secure storage space to any of kitchen spices, dishes, kitchen pan lids and whatever you want to put inside!